How are you all? I loved the hot weather!! 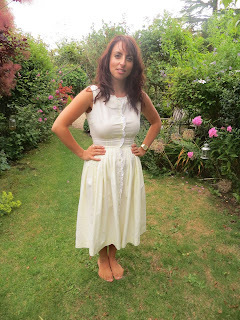 Now its gone I feel summer is over and I cant wear my favourite dress' such as this gorgeous vintage dress! 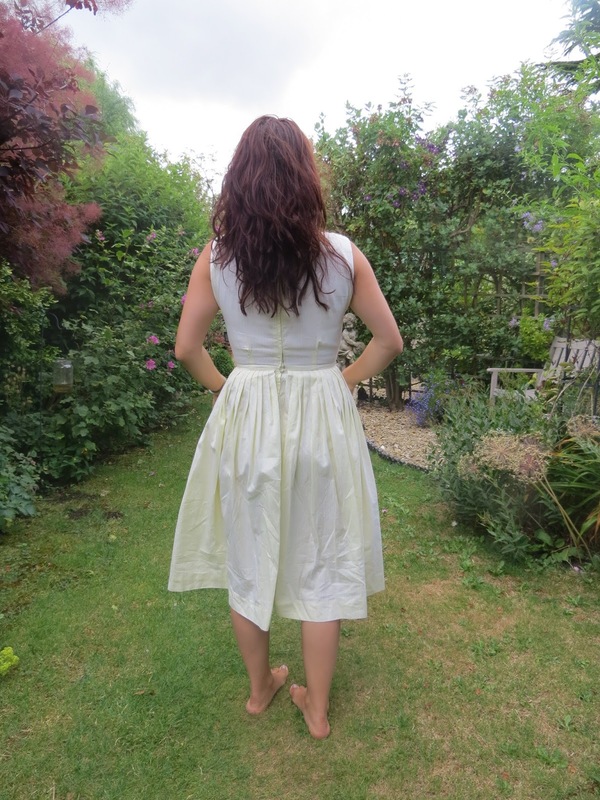 This dress was picked up at a vintage fair. 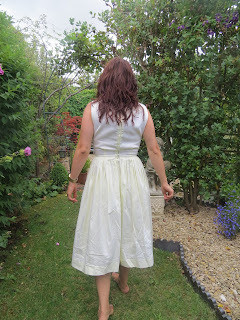 I love vintage clothing, especially 50s dress'. My papa was very generous and offered to give me money towards two that I fell in love with as I had been on a spending ban for months and am saving for a house. I spotted a dress I loved but it was too small, my mama said for me to ask the lady if she any sized 8/10 that could fit, I asked specifically for 50s style and she pulled out this one and another stunning dress which I will show in another OOTD. 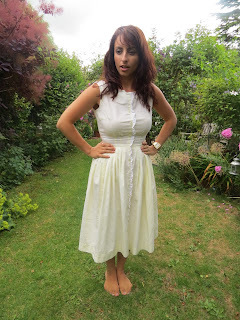 This dress is cotton and has a frill white trim going down the front with lemon coloured buttons. It has a zip fasten going down the back. The dress is a perfect with a beautiful shade of lemon stripes on a white background. It can be worn with a belt around the waist and can be dressed up or down. What I love about vintage is they are classic and can worn year after year, they are beautifuly made and keep in good condition. This dress was originally £35 but I knocked her down to £60 for two dress'. I feel this is a bargain and will be a treasured item within my wardrobe. Have you bought any vintage? If so what is your favourite style? Excuse the picture heavy post!! What a find! This is such a lovely dress, even more of a find being vintage! 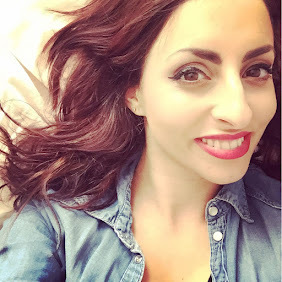 Just popping by from the #lbloggers chat! Love the romantic dress on you! White is definitely your colour, babe!